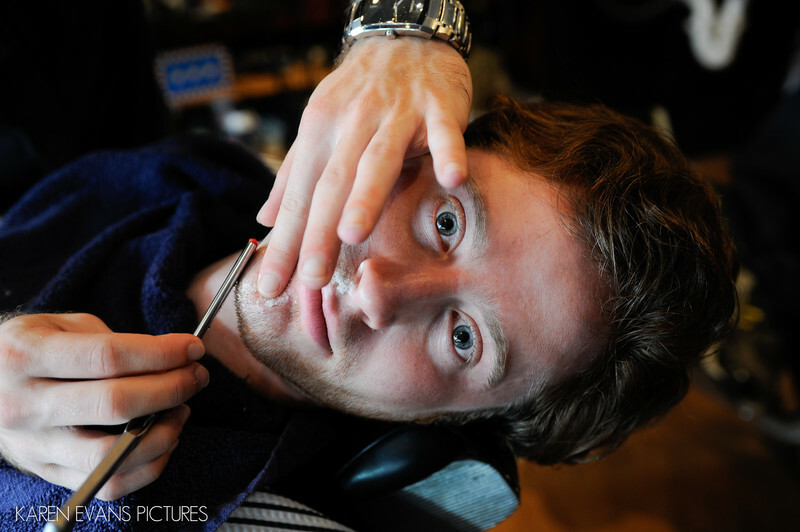 When I learned that Ben and his groomsmen would be having old-fashioned straight razor shaves at Mug & Brush prior to his wedding to Aliza at Tifereth Israel, I was beyond excited to photograph it. This is one of the groomsmen who seemed a tad nervous about the process. That he looks straight into the camera unflinchingly and with no expression really makes this photo to me. It's one of my favorites.Keywords: osu (30).